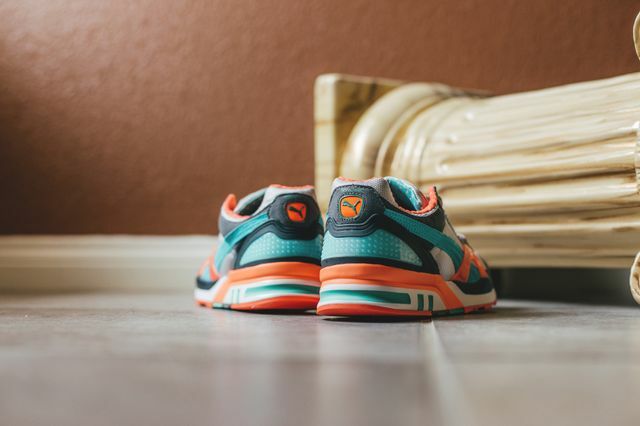 Puma Trinomic XT2 Plus "Fluo Teal"
Puma is back with yet another fresh colorway for the Trinomic XT2 Plus, this time in a classic yet new feeling teal and orange motif. 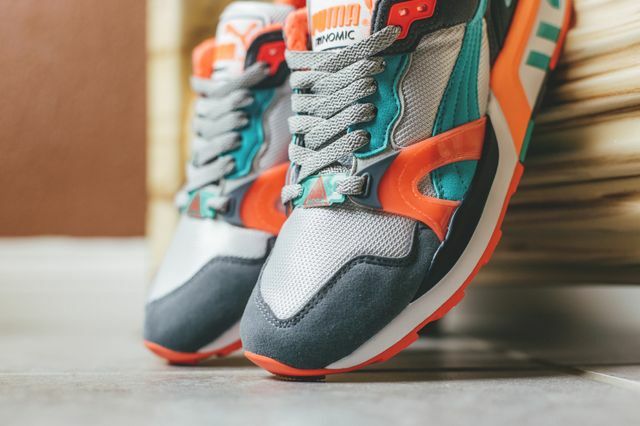 The “Fluo Teal” kicks make use of bold color-blocking and dynamic fabrics, resulting in a killer pair of kicks for the Spring/Summer 2015 season. 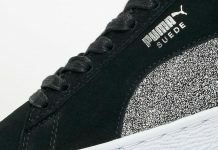 Grey tonal uppers in suede and mesh meet grey laces, but that’s about where the subtly stops. 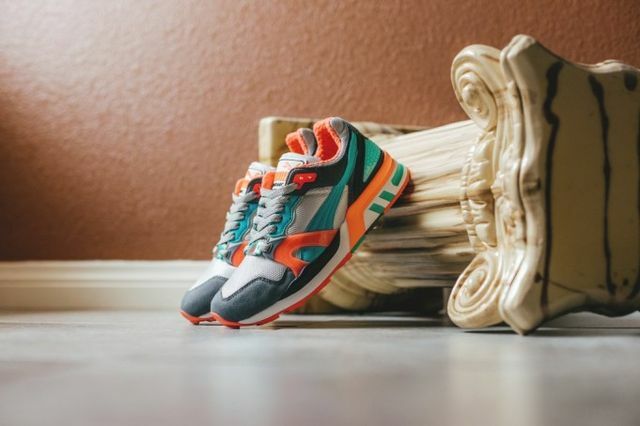 Daring splashes of Fluo Teal and orange are thrown around making use of the Trinomic XT2 Plus’ intricate construction. 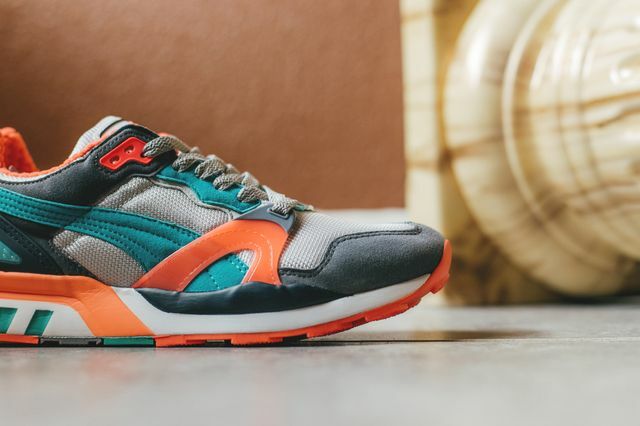 Puma put suede, plastic and mesh through their paces with this one, if you’re feeling the results cop yours now.